VP Discreet Opening Utilizes an optimized system approach of satellite speakers and a hidden subwoofer to provide even and smooth coverage in a space. 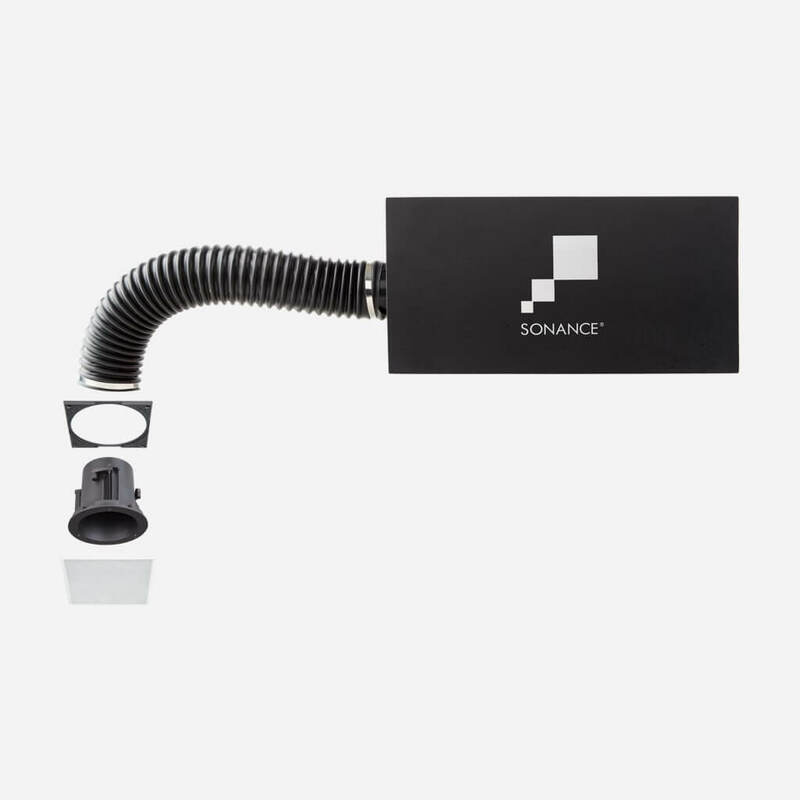 Discreet opening system delivers amazing sonic performance with minimal visual intrusion. 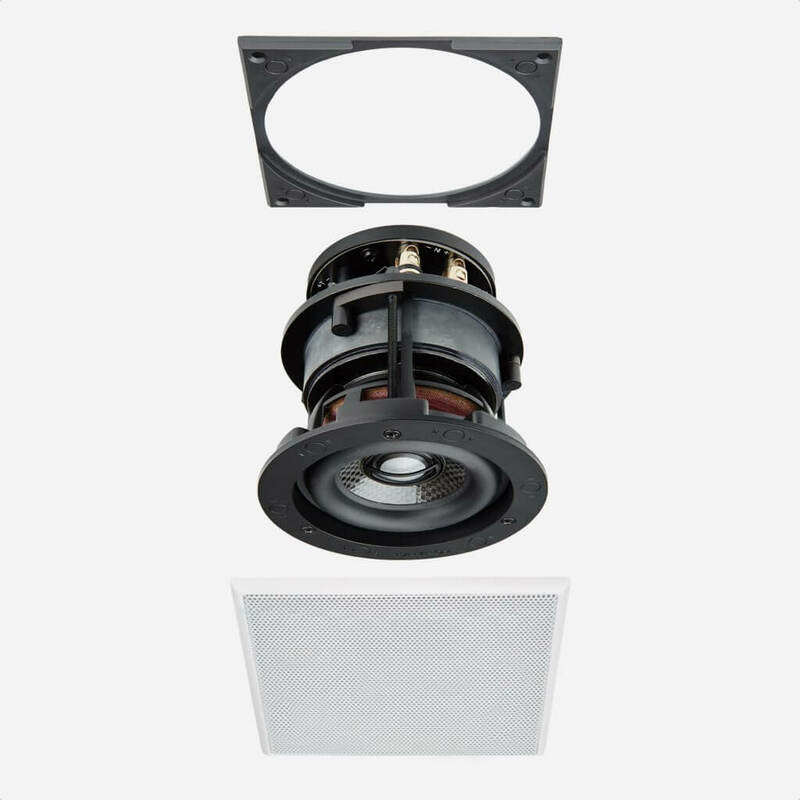 Small form factor aesthetic that matches size of round or square downlights. Visual Performance Discreet Opening Speaker. Grille: Shipped w/ Round 4 29/32" perforated steel grilles. 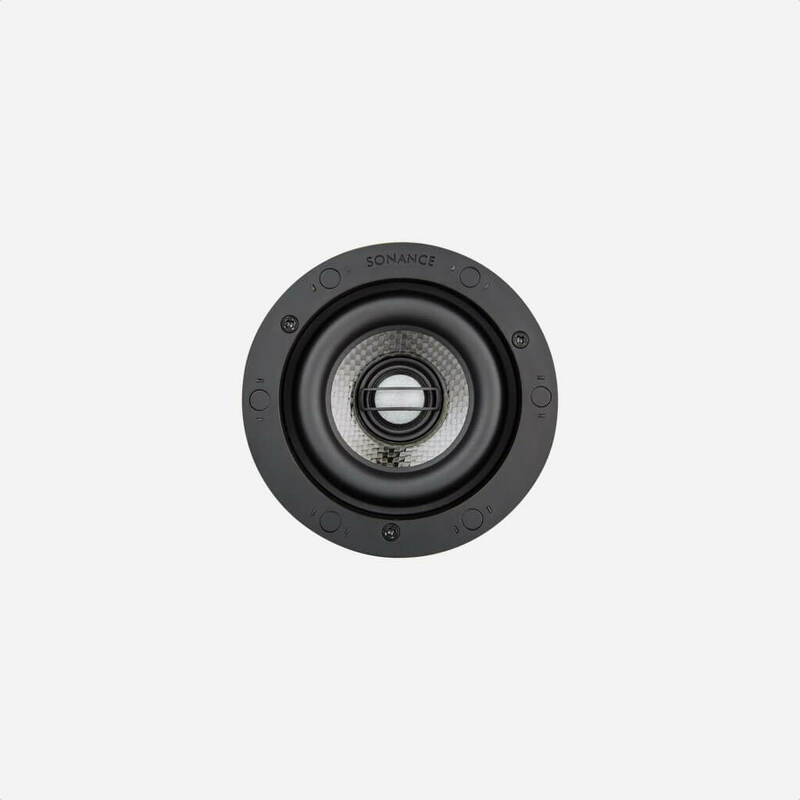 Tweeter: 3/4" (19mm) ceramic dome, Ferrofluid-cooled, in acoustic back chamber. 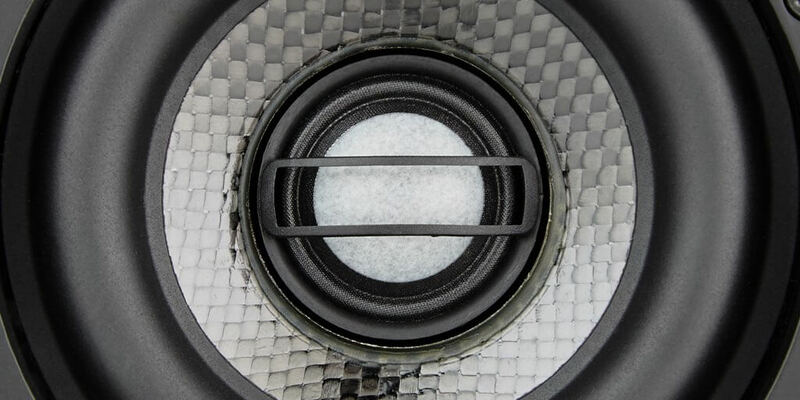 Woofer: 3 1/2" (89mm) carbon fiber/ Rohacell laminated cone with a rubber surround. Frequency Response: 75Hz - 20kHz - ±3dB. Impedance: 10 ohms nominal; 8 ohms minimum. Power Handling: 100 watts maximum. Sensitivity: 83dB SPL (2.83V/1 meter). High Pass Filter: 125Hz 6dB per Octave. Dimensions (Dia x D): 4 5/16" x 3 15/16" (109mm x 99mm). Shipping Weight: 3.1 lbs (1.4kg) each. 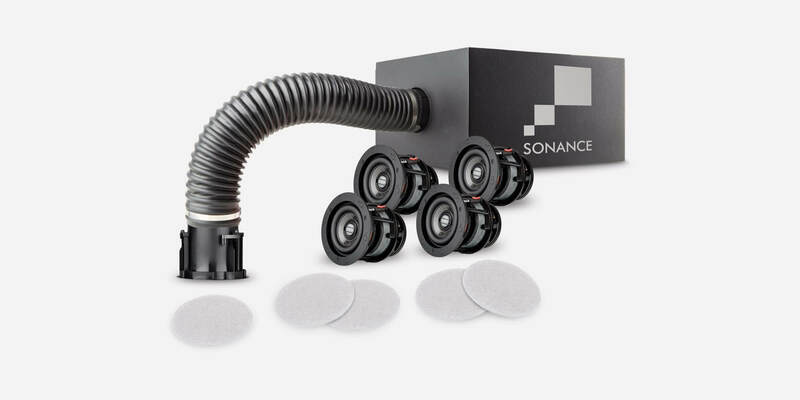 Visual Performance Discreet Opening Subwoofer & Bandpass. 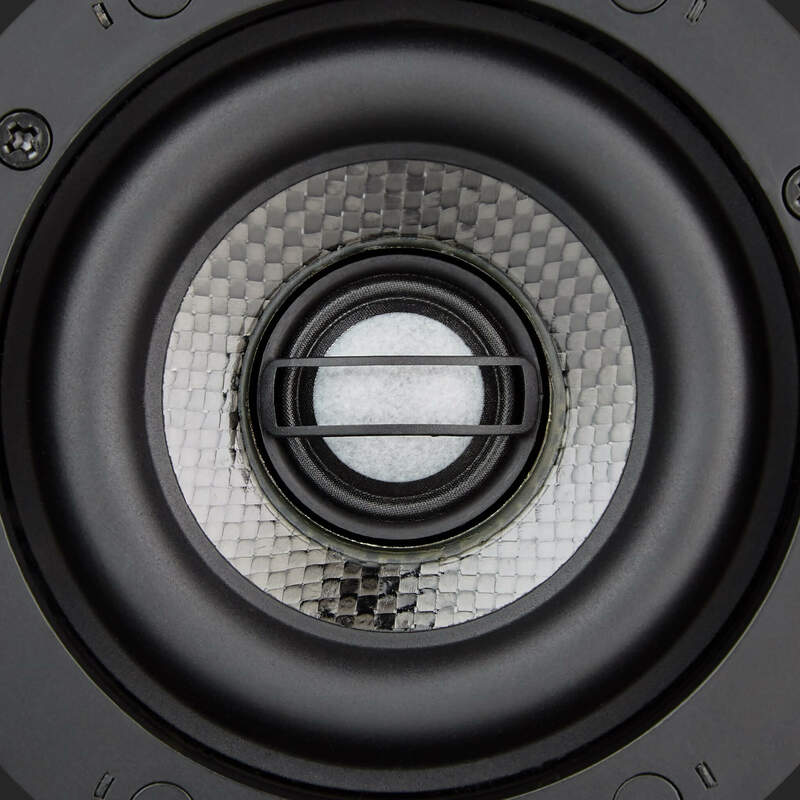 Woofer: 6 1/2" dual voice coil, carbon fiber/ Rohacell laminated cone with a rubber surround. Frequency Response: 40Hz - 125Hz - ±3dB. Sensitivity: 87dB SPL (2.8V/1 meter). Internal Crossover Frequency: 125Hz @12dB per Octave. Bandpass Dimensions: (Dia x D): 4 5/16" x 3 1/2". Port Tube Dimensions: 3" x 22" (76mm x 559mm). Grille: VPBPC3R shipped w/ Round 4 29/32" perforated steel grilles. Dimensions: 7 7/8" x 11 15/16" x 15 3/4" (200mm x 303mm x 400mm). Shipping Weight: 29 lbs (13.54 kg) each. Visual Performance Discreet Opening Speakers & Subwoofers System. Starting at $2,750 each Package. 1 - VPBPC3R Bandpass Connector. 5 - Discreet Opening Round perforated steel grilles. dmg-mg is the first truly high-end and super custom integrator in South Florida. 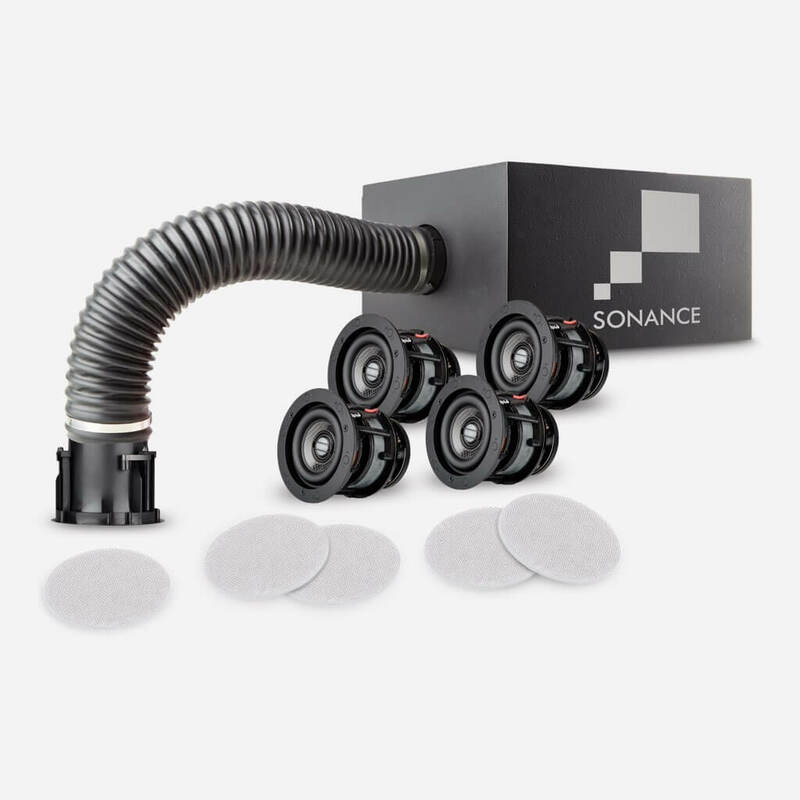 dmg-mg is a certified direct dealer, integrator and installer of Sonance Visual Performance Discreet Opening System for commercial and residential applications in the Miami / Fort Lauderdale area. Ensuring peace of mind, for the best price, professional custom installation, and warranty protection of your high-end, Visual Performance Discreet Opening System. The totally flush and bezel-less grilles.